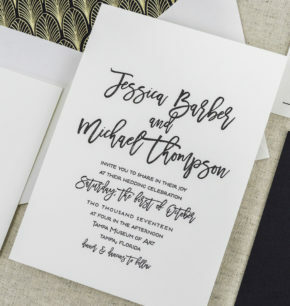 Think laid-back, carefree, and whimsical! 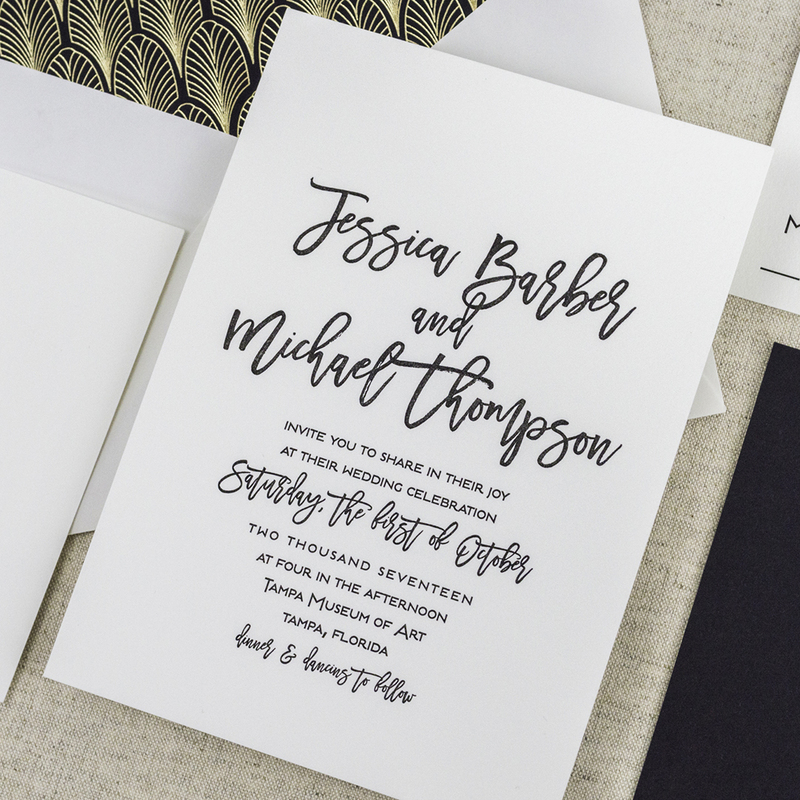 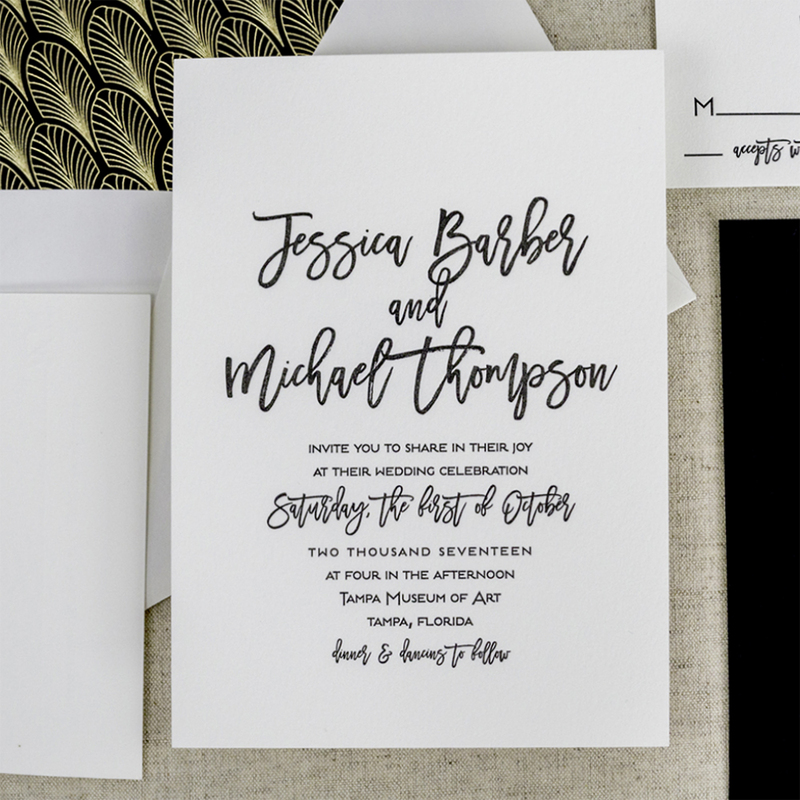 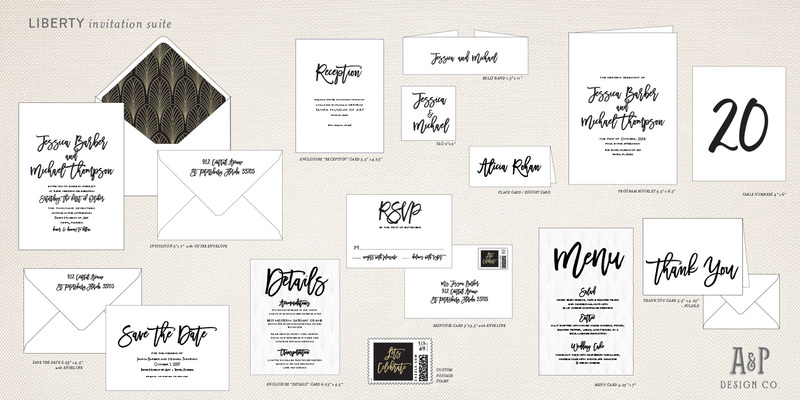 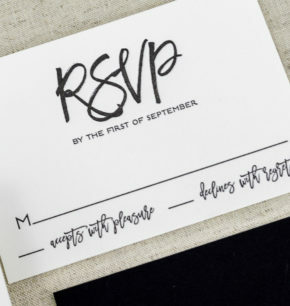 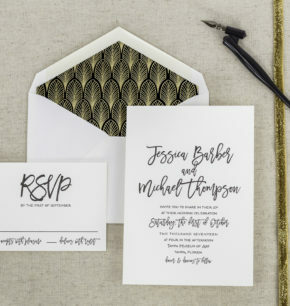 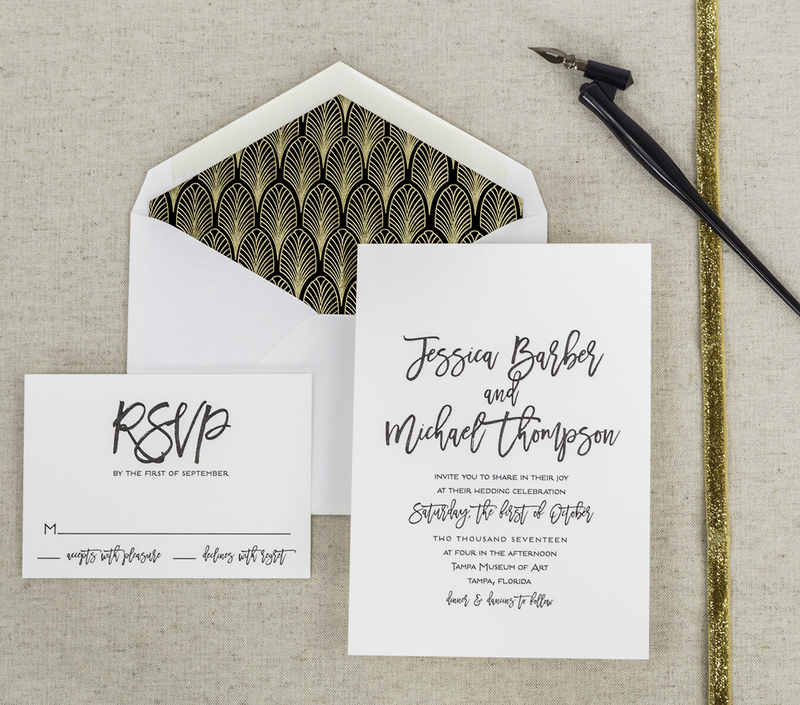 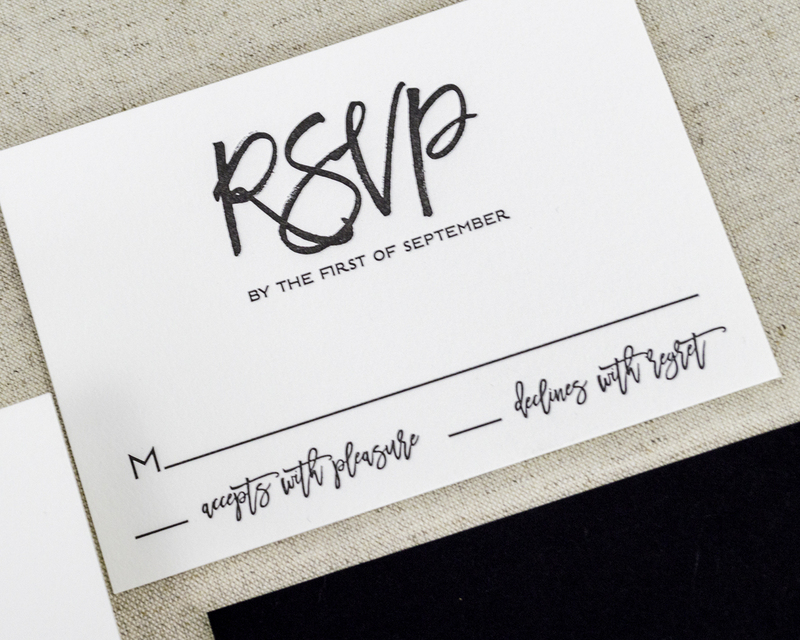 This invitation suite focuses on a modern and playful calligraphy type. The design is perfect for the free-spirited bride who wants to showcase her and her fiancé’s fun and casual personalities.